Fresh new dance tune from Brisbane! Harry Hope aka Odd Mob has been releasing catchy EDM for a while now, but if you’re not already familiar, his new song “All Of Your Heart” makes for a great introduction. Light and breathy vocals glide overtop bouncy percussion and warm synths, with a chorus of chopped and pitched vocals dropping in at all the right times. Be careful though; this one will worm its way into your head and set up shop, so listen at your own risk. Check out more from Odd Mob on SoundCloud and stream “All Of Your Heart” below. “Eternal Now” is a spacey and atmospheric collaboration between electronic heavyweights LSDREAM (fka Brillz) and Champagne Drip. It features heaping amounts of bass and super clean percussion, along with the best intro I’ve heard so far this year. The song continuously builds on itself by introducing intense new sounds and upping the energy level at every turn—with a climax of powerful synths around 2 minutes and 30 seconds in. You can hear both producers’ styles shine through on this one, which makes me think these guys have some serious chemistry. Let’s hope we hear them team up again in the near future. French producer Kidswaste enlists the beautiful and fast-rising vocalist KOLE for a dreamy new single called “Sleeping Pills”. The melodic production pairs nicely with KOLE’s softly crooned vocals, slowly building intensity before dropping into a speedy and hypnotizing chorus. It’s a prime example of Kidswaste’s ability to craft gorgeous electronic pop music. Check out more from both Kidswaste and KOLE and stream “Sleeping Pills” below. MEMBA show off their versatility with “Schools Out”—a catchy and upbeat track that’s worlds apart from their usual heavier sound. They said it’s meant to express the childhood sense of wonder that everyone is born with, which is all too easy to lose touch with as you get older. I think they nailed that feeling with this one—the bubbly production and lighthearted vibe truly make for a fun and inspiring listen. Be sure to follow this talented duo on SoundCloud and listen to “Schools Out” below. London duo Snakehips recently reworked Wet‘s sultry single “Lately” into a smooth electronic tune that’s perfect for starting your week. 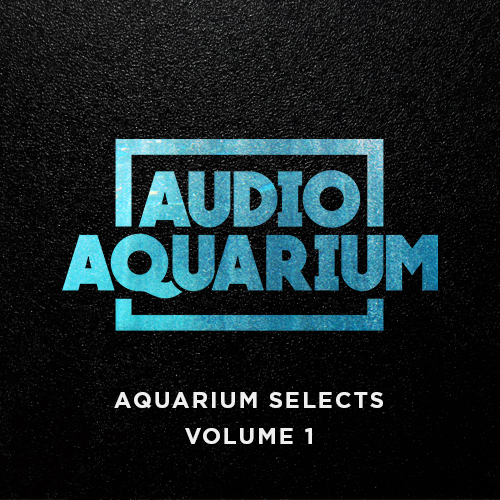 Wet’s vocals remain front and center while steady drum patterns and bassy, ebbing synths offer a unique compliment. This one has a lot of depth to it, and it also maintains the appeal of the original which is a sure sign of a quality remix. Head to Snakehips’ SoundCloud for more good music and stream their remix of “Lately” below. Introducing Otherwise Fine—a brand new electronic duo that’s poised to make major waves with their refreshingly unique sound. Their debut EP IwantU showed off the duo’s skill set with creative originals and unexpected remixes (the Biggie Smalls remix is wild), and their new song “It’s Always Been U” further drives home the point that these guys are good. “It’s Always Been U” is a vibrant collage of synths, piano, and catchy vocal chops that are woven together with tight percussion and topped off with gorgeously processed original vocals. It manages to sound energetic and chilled out at the same time, creating a feel-good vibe that had me hooked from the moment I pressed play. Be sure to follow Otherwise Fine on SoundCloud and stream “It’s Always Been U” along with their Biggie remix, “Take Notes”, below. Manila Killa‘s debut EP 1993 came out of nowhere and has quickly become my favorite thing to listen to right now. It’s filled with super clean and catchy production and has some great guest features too. My favorite song, “Skin”, features alternative pop/R&B/electronic group OutsideOUTSIDE and has one of the most satisfying drops I’ve heard this year–but don’t expect screeching synths and abrupt percussion—everything about this one is delightfully smooth. Listen to the 1993 EP in full and stream “Skin” below. The evolution of San Holo‘s style has been really cool to watch. “Lead Me Back” is one of his most indie rock sounding releases to date, which certainly isn’t a bad thing—especially since the electronic stylings still have a strong presence. It’s probably not an easy combination to pull off, but San Holo does it with a natural ease. The result is a gorgeously engrossing song that blends genres and offers up something fresh and exciting.